Getting acquainted with the region’s gastronomy gives a special flavour to the stay. The characteristic dishes of South Baranya County, prepared with local producers’ experience of decades, the unique wines of Villány offer true culinary adventures. During your stay with us, besides standard breakfasts we offer tastings of different local foods every morning. 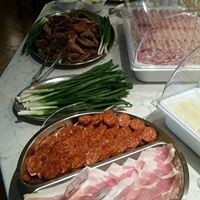 The breakfasts prepared with fresh, farmhouse eggs, rustic mangalica (curly-haired hog) ham, handmade jam made with real fruit and still warm home-baked bread is an experience in itself at the start of the day. Our hotel only offers breakfast, but it also offers tastings of the nicest Villány wines. You will be able to find information about restaurants offering local dishes and home cooking in the reception, where we will be happy to assist.